Is that actually a new shot? Seems identical to one of the Empire ones. Ah, spot colour - the true sign of amateur photoshoppery. 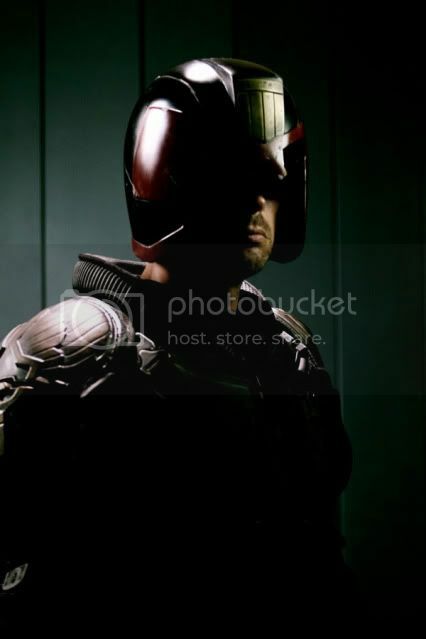 With only 7 months to go till D-day . . .The Dredd movie promo' machine rolls on! It's all getting a bit frantic for sure. 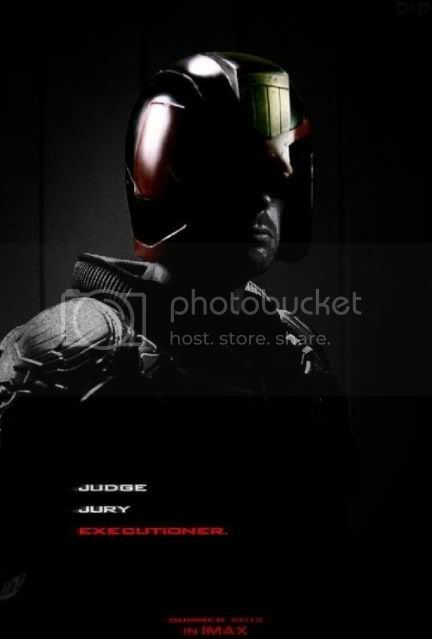 That looks like Judge Dredd alright. Disagree with the essential reading for Dredd I can just about make out there. I'd would have said "The Day the Law Died." Which would be a good sequel, probably 3rd in the series of Dredd films after he's character has emerged on the big screen a bit more. Getting ahead of myself here, but I reckon it'l be a great film. I'm hoping it is good enough for both sequels & other 2000AD movies. Rogue Trooper would be a great movie, Flesh has legs. Urban could live in that helmet. And raise a family there. At least he's keeping the Drokking thing on! Why are there still complaints about the size of the helmet? It's a motorcycle helmet, it needs to be big. NO MORE PHOTOS... TRAILER, NOW!!! Sorry to disappoint you Beaky you political thread stinker. Here's that same darned photo again!